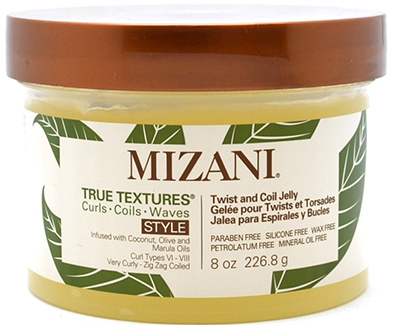 The new Mizani True Textures product line offers weightless moisture and curl definition without the crunch. This line is formulated with coconut, olive, and marula oils. Coconut oil penetrates into the hair shaft and helps the hair retain moisture. Marula oil adds moisture to the hair and scalp without weighing the hair down or leaving a greasing feeling on the hair. Olive oil can be used to soften dry hair and reduce frizz. The Intense Moisture Replenish Treatment is paraben and silicone free. One of the main ingredients in this product is sunflower seed oil, which is a lightweight carrier oil that acts as an emollient for your hair and scalp. It penetrates into the hair shaft and helps retain moisture. Sunflower oil also helps reduce frizz and can help your hair be more manageable. Use this treatment weekly after you shampoo or cleanse. This mask offers great slip and helps detangle coils, curls, and waves. If your hair is dry, I would recommend using a steamer, hooded dryer, or heat cap for additional moisture. The Curl Enhancing Lotion is designed for all hair types. It has more hold than the Curl Define Pudding but less hold than the Twist and Coil Jelly. It can be used to achieve wash and go styles or other wet sets. I like the curl definition and shine the hair has when this product is applied. Your hair will feel hydrated the next day with no crunchy feeling. This product will work well for you if you just did the big chop and you have about 2-3 inches of new growth that needs curl definition. It has enough hold to activate your curls and dries quickly once applied. Use the Twist and Coil Jelly for Type 4, coily hair. This product can be used for twist outs, wash and go styles, braid outs, flexi rod or perm rod sets. I like the consistency of this jelly because it is not sticky. It reduces frizz, defines your curly style, and will leave your hair soft. You will be able to manipulate your style at home without the product flaking and your hair will have a nice shine. The Curl Define Pudding offers the most hydration with very little hold. 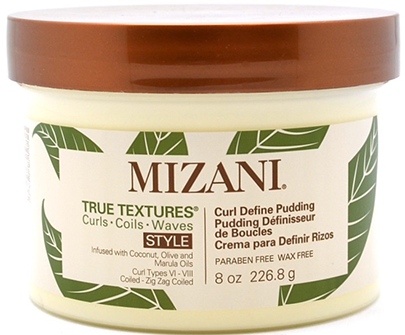 If your hair is on the drier side, I recommend the Curl Define Pudding to define your coils with finger coils or two-strand twists. An added bonus is that you can reapply it throughout the week and your hair will feel moisturized but not greasy. This product dries fast and will not flake. The Style Refresher Milk is a spray that can be used to freshen up your natural hair without hold and no frizz. I recommend this spray for moisturize your two-strand twist and finger coils on second and third day. 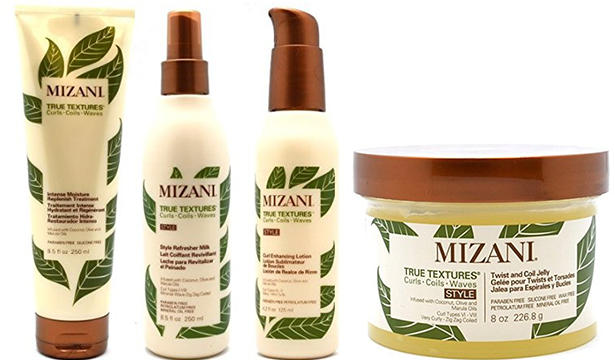 Have you tried the new Mizani True Textures line? Which products would you recommend? Writer Sophia Emmanuel is a licensed cosmetologist and certified IAT trichologist. As a hairstylist, Sophia realized that she had to have a thorough understanding of the hair and scalp because many women complained of hair loss. She decided to become a certified trichologist after reading Barry Fletcher’s book titled, Why Are Black Women Losing Their Hair? She enjoys helping people get to the root of their hair loss and hair breakage problems.